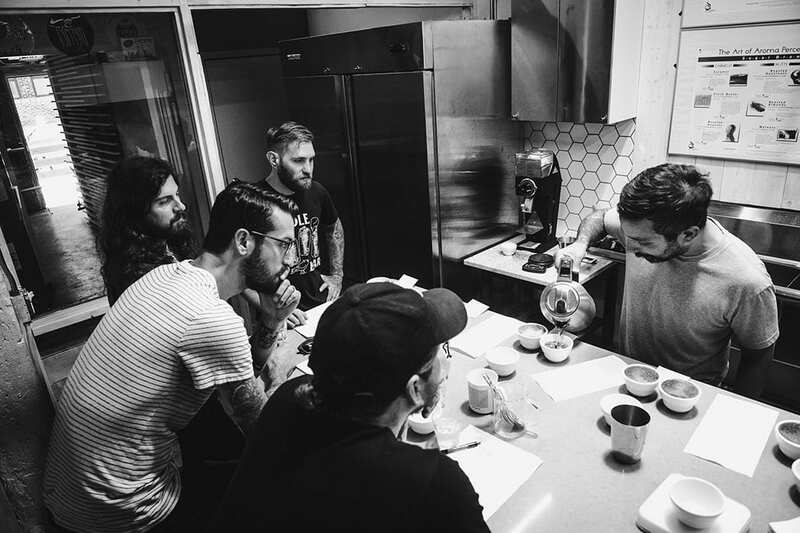 Xavier Alexander of Metric walks The Devil Wears Prada through a cupping to find the band’s favorite coffee. 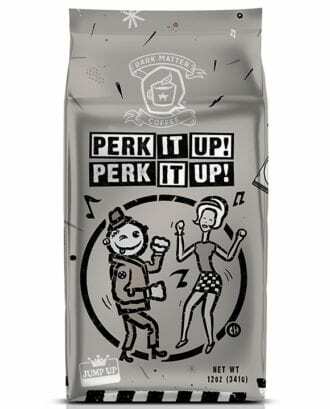 Musicians have long teamed up with breweries for special beer releases, but that spirit of collaboration has also been expanding in the coffee world. Some projects are one-offs, like Intelligentsia teaming up with St. Vincent for a “Bring Me Your Mugs” vinyl and coffee package and La Colombe partnering with Arcade Fire on a coffee to benefit projects in Haiti. Other collaborations are more long-term. Portola Coffee has an ongoing relationship with From Indian Lakes (several of the band members are actually baristas), with the most recent release taking place last year, and Counter Culture has teamed up with the Avett Brothers on multiple occasions, supplying coffee for the band’s New Year’s Eve shows for the past five years and most recently releasing a box set for last year’s album True Sadness. A collaboration between Dark Matter and Jump Up Records. Some bands have taken their passion for coffee even further. In August, Chris Guglielmo, Nick Ghanbarian and Vern Smith of Bayside launched their own roastery, Legal Speed Coffee & Supply, in Costa Mesa, California. Seeking out new and interesting coffees has always been part of their touring routine, and since opening Legal Speed they’ve done a few pop-ups at record stores and bike shops, in addition to selling beans online. “The fun part about coffee is everyone appreciates different things, so the possibilities of what we can offer in a roast seem endless,” Ghanbarian says.